ChattaMedia is an advertising and marketing agency offering campaign creation, video production, graphic design, and website development services. We offer a wide range of services to transform your goals and objectives into measurable results. 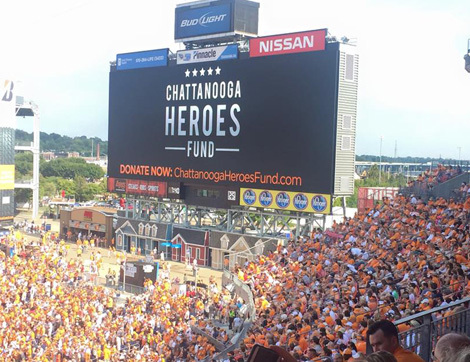 ChattaMedia played a vital role in creating awareness for the Chattanooga Hero’s Fund. The care and quality that went into producing the entire campaign – including commercials, social media, TV placement, and print collateral - were instrumental in allowing us to raise funds to support our community. Terry Baker was great to work with. Our award-winning television commercials had an immediate impact on our sales and bottom line. Our spots communicate exactly who we are in the community and are as impressive as you can find from any media source.